Darity’s research focuses on inequality by race, class and ethnicity, stratification economics, schooling and the racial achievement gap, North-South theories of trade and development, skin shade and labor market outcomes, the economics of reparations, the Atlantic slave trade and the Industrial Revolution, the history of economics, and the social psychological effects of exposure to unemployment. William Darity Jr.'s research on national reparations programs discussed in Jesus Rodriguez, "This Could Be the First Slavery Reparations Policy in America," Politico, April 9, 2019. "‘Baby Bonds’ Could Help the U.S. Wealth Gap," William Darity Jr. (with Darrick Hamilton), Interview with Matthew Boesler, Bloomberg, April 5, 2019. William Darity Jr. quoted on the racial wealth gap in Dwyer Gunn, "A Federal College Loan Program is Exacerbating the Racial Wealth Gap" Pacific Standard, May 18, 2018. William Darity Jr. quoted on a federal jobs guarantee in Katia Dmitrieva, "Leading Democrats are Backing One of the Most Radical Economic Plans in Years" Bloomberg, May 18, 2018. William Darity Jr.'s research on racial inequality discussed in DeRay McKesson, "Road to Zero Wealth Reaches Pod Save the People," Pod Save the People, May 16, 2018. William Darity Jr.'s research on black wealth discussed in Antonio Moore, "Black Wealth from Kanye to Donald Glover: America's Decadent Veil," NewsMax, May 11, 2018. William Darity Jr. quoted on the racial wealth gap in Evan Ramstad, "Economists at Minneapolis Fed Meeting Explore Persistent Racial Gaps in Hiring, Wealth" Star Tribune, May 11, 2018. William Darity Jr. quoted on reparations in Anne Branigin, "Cynthia Nixon Catches Heat for Calling Cannabis Licenses in Black Community a ‘Form of Reparations’" The Root, May 8, 2018. William Darity Jr. quoted on the racial wealth gap in David Love, "Should the Kanye West MAGA Debacle Remind Black People That" Atlanta Black Star, May 6, 2018. Mark Paul's research on America's racial wealth gap discussed in Sam Fullwood III, "New Study Takes Aim at Debunking Old Myths about America’s Racial Wealth Gap," Think Progress, May 2, 2018. Mark Paul quoted on a federal jobs guarantee in David Dayen, "Whether American Can Afford a Job Guarantee Program is Not Up for Debate" The Intercept, April 30, 2018. Mark Paul quoted on a federal jobs guarantee in Gregory Krieg, "Why a 'federal jobs guarantee' is Gaining Steam with Democrats" CNN, April 26, 2018. Mark Paul quoted on a federal jobs guarantee in Gideon Resnick, "How Guaranteeing Jobs Became the Hot New Policy Priority for 2020 Dems" The Daily Beast, April 25, 2018. Mark Paul quoted on a federal jobs guarantee in Jonathan Chait, "Democrats are Rushing into a Job Guarantee. It Could be a Huge Mistake." New York Magazine, April 25, 2018. Interview on the racial wealth gapWilliam Darity Jr., Pacific Standard, April 24, 2018. William Darity Jr.'s research on black-white wealth gap discussed in Noah Smith, "How to Reduce the Black-White Wealth Gap," Bloomberg View, April 23, 2018. Mark Paul quoted on a federal jobs guarantee in Dylan Matthews, "Cory Booker’s New Big Idea: Guaranteeing Jobs for Everyone Who Wants One" Vox, April 20, 2018. Mark Paul quoted on homeownership and racial wealth inequality in Tanvi Misra, "Does Homeownership Really 'Drive' the Black-White Wealth Gap?" City Lab, April 20, 2018. William Darity Jr.'s research on Jamelle Bouie, "Mind the Gap," Slate, April 20, 2018. William Darity Jr. quoted on racial wealth inequality in Ann Brown, "Is It Possible to Close the Wealth Gap? Only If People Stop Believing Black Folk Just Need to Try Harder" Madamenoire, April 19, 2018. William Darity Jr. quoted on reducing the racial wealth gap in Eshe Nelson, "Greater Homeownership isn’t the Answer to Ending Wealth Inequality" Quartz, April 19, 2018. William Darity Jr.'s research on Antonio Moore, "What We Get Wrong about Closing the Racial Wealth Gap," Fortune, April 16, 2018. William Darity Jr. quoted in Natalie Sherman, "A True Picture of US Black Jobless Figures" BBC News, February 2, 2018. "Make Every Child a Trust Fund Baby," William Darity Jr. (with Darrick Hamilton), The News & Observer, January 18, 2018. William Darity Jr. quoted in Vann R. Newkirk II, "Instead of Work Requirements, Why Not a Jobs Guarantee?" The Atlantic, January 14, 2018. William Darity Jr.'s research on Brad Williams, "This Proposal Would Give an Average of $20000 to Every Baby Born in the US," The Kansas City Star, January 11, 2018. William Darity Jr.'s research on universal trusts for US children discussed in Heather Long, "There's a Serious Proposal to Give Babies Born in the United States $20,000 (or More)," Chicago Tribune, January 9, 2018.
on All Things Considered National Public Radio, William Darity Jr. (with Darrick Hamilton and John Ydstie), January 9, 2018. William Darity Jr.'s research on Heather Long, "There's a Serious Proposal to Give Babies Born in the United States $20000 (or More)," Washington Post, January 8, 2018. William Darity Jr. quoted in Heather Long, "Black Unemployment Falls to Lowest Level on Record" Washington Post, January 5, 2018. William Darity Jr.'s research on federal job guarantee discussed in Bryce Covert, "Back to Work," The New Republic, July 18, 2017. William Darity Jr.'s research on a federal job guarantee discussed in David Dayen, "It’s Time for the Government to Give Everyone a Job," The Nation, May 19, 2017. William Darity Jr. quoted on a federal job guarantee in Annie Lowrey, "Should the Government Guarantee Everyone a Job?" The Atlantic, May 17, 2017. Guest to discuss stratified economics on North Carolina Public Radio, William Darity Jr., April 10, 2017. William Darity Jr.'s research on racial disparities in family wealth discussed in Victor Ray, "The Racialization of Academic Funding," Inside HigherEd, February 10, 2017. William Darity Jr. quoted on whether or not Trump's proposals for helping poor and middle-class black Americans in Gillian B. White, "Black Wealth in the Age of Trump" The Atlantic, February 7, 2017. Interview on how wealth is built in the United StatesWilliam Darity Jr., Ways and Means Podcast, February 7, 2017. "Why We Need a Federal Job Guarantee," Mark Paul (with William Darity Jr. and Darrick Hamilton), Jacobin Magazine, Jacobin Magazine, February 4, 2017. "How Barack Obama Failed Black Americans," William Darity Jr., The Atlantic, December 22, 2016. William Darity Jr.'s research on spreading the benefits of asset-ownership to all Americans discussed in Lynn Parramore, "Baby Bonds: A Plan for Black/White Wealth Equality Conservatives Could Love?," Institute for New Economic Thinking, October 25, 2016. 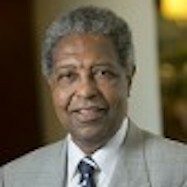 Guest to discuss the economic legacy of racism on New Economic Thinking, William Darity Jr., September 16, 2016. William Darity Jr. quoted on discrimination in higher education and predominantly white workplaces in Monica Anderson, "Blacks with College Experience More Likely to Say They Faced Discrimination" Pew Research Center Fact Tank, July 27, 2016. "A Guaranteed Federal Jobs Program is Needed," William Darity Jr., Opinion Pages, New York Times, July 11, 2016. "Why Black Colleges and Universities Still Matter," William Darity Jr. (with Darrick Hamilton, Tressie McMillan Cottom, Alan A. Aja, and Carolyn Ash), The American Prospect, November 9, 2015. "The Color of Wealth in the Nation's Capital," (with Darrick Hamilton, William Darity Jr., Kilolo Kijakazi, Rachel Marie Brooks Atkins, and Anne E. Price), The Urban Institute, The New School, and the Insight Center for Community Economic Development, 2017. Explores racial and ethnic differences in net worth, focusing on Black families in Washington, DC, and shows, through a chronicle of their history in the city, how discrimination and systemic racism contributed to today's wealth gap in the nation's capital. "The Political Economy of Education, Financial Literacy, and the Racial Wealth Gap" (with Darrick Hamilton). Federal Reserve Bank of St. Louis Review 99, no. 1 (2017): 59-76. Examines the mismatch between the political discourse around individual agency, education, and financial literacy, and the actual racial wealth gap. The authors argue that the racial wealth gap is rooted in socioeconomic and political structure barriers rather than a disdain for or underachievement in education or financial literacy on the part of Black Americans, as might be suggested by the conventional wisdom. Also, the article presents a stratification economic lens as an alternative to the conventional wisdom to better understand why the racial wealth gap persists. "Race, Wealth and Incarceration: Results from the National Longitudinal Survey of Youth" (with Darrick Hamilton and Khaing Zaw). Race and Social Problems 8, no. 1 (2016): 103-115. Examines data on race and wealth status before and after incarceration to find that, although higher levels of wealth were associated with lower rates of incarceration, the likelihood of future incarceration still was higher for blacks at every level of wealth compared to the white likelihood. Further, finds that racial wealth gaps existed among those who would be incarcerated in the future and also among the previously incarcerated. "Wealth Inequalities in Greater Boston: Do Race and Ethnicity Matter?," (with Darrick Hamilton, Tatjana Meshede, Ana Patricia Muñoz, and Regine Jackson), Federal Reserve Bank of Boston, 2016. Assesses new data from the Boston metropolitan statistical area as part of the National Asset Scorecard for Communities of Color (NASCC) survey to provide detailed information on financial assets that allow analysis to extend beyond the tradition black-white divide. The findings underscore the large racial and ethnic disparities in financial wealth, and indicate the need for wealth building opportunities in communities of color and further investigation of the causes and consequences of financial disparities between groups of color disaggregated by ancestral origin. "Looking through the Shades: The Effect of Skin Color on Earnings by Region of Birth and Race for Immigrants to the United States" (with Alexis Rosenblum, Angel L. Harris, and Tod G. Hamilton). Sociology of Race and Ethnicity 2, no. 1 (2015): 87-105. Examines link between skin shade, perhaps the most noticeable phenotypical characteristic, and wages for immigrants from five regions to determine whether a labor market penalty exists for members of immigrant groups as a result of being phenotypically different from white Americans.